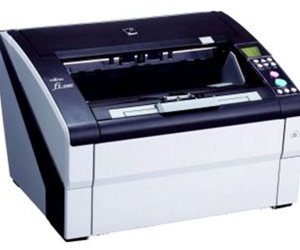 The Fujitsu iX500 is one of the most popular scanners on our website. Compatible with PC and Mac means its accessible to practically every office and home environment. The ScanSnap iX500 is also very easy on the budget whether you go for standard or the deluxe model. Performance wise, the ScanSnap iX500 scans in full colour at 25 pages per minute with a 50 page automatic feeder making you have to do less while the Fujitsu scanner works. Fujitsu introduce a new perspective on scanning with their new addition to the Fujitsu ScanSnap range, the Fujitsu ScanSnap SV600. Three revolutionally technilogical advancements are hidden in the head of the scanner: A deep depth of field lens allows autofocus on a wide area, the High Directivity LED Lamp allows you to maintain the same brightness without being affected by the surrounding light and the CCD linear image sensor to scan by line to produce steady images. 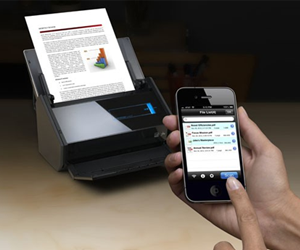 The Fujitsu fi-6800 document scanner boasts a small design. It is able to fit snugly on or under your desk for easy access and guarantees to not take up very much room. 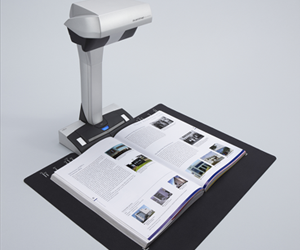 But although the FI-6800 may be small – it has dimensions of a mere 18 x 17 x 12 inches – the document scanner does not short-change its users on performance.